Buy Mobile Phones Online in Nigeria? Discover Affordable Smartphones in Nigeria only on GbanjoDeals. These are various mobile phones that are built on intelligent software platforms like Windows, Blackberry, android and iOS operating systems. The smartphone allows a user to run various applications; Accessibly to the Internet also access digital media online. 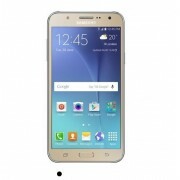 There are series of smartphones available on GbanjoDeals with features: hi-tech capability that will help you get task done faster and smarter. Discover the new Huawei phones. GbanjoDeals provide you the option to choose from our wide collection of smart phones from top brands like Samsung, Nokia, Tecno, Infinix, Injoo , Leagoo, Wiko, Fero, Htc, Lenovo, LG, Motorola, Sony, Iphone and many more,we assure you of best smartphones prices in Nigeria. 5.0'' Cubot Rainbow 2 HD 3G S..
IP68 Waterproof Dustproof Shockproof, 1.8 inch, Bl..